"Illegality in international law" applies neither to the Israeli settlements that existed prior to Oslo II nor to any continued subsequent Israeli building that was confined to the official boundaries of those settlements (including Jerusalem in its entirety) on the day when Oslo II was signed, on September 28, 1995. In negotiations over the final status, on the other hand, the Palestinians are not excluded from demanding a total Israeli withdrawal to the ceasefire lines of 1949, but Israel is likewise not excluded from demanding the retention not merely of the settlements but also of any other part of the Mandatory Palestine of 1947. Almost all of Israel's settlement activity has not been illegal. Israel's Supreme Court has been vigilant in forbidding any violations. In practice, no final status can be achieved unless both Parties abandon their claims to the whole former territory of the British Mandate, accept each other's minimal existential needs, and acknowledge the long-established current realities. In a familiar fable ascribed to Aesop, a shepherd boy finds fun in making all the villagers run out in alarm by crying "Wolf!" After this happens several times, the villagers ignore him, so when a wolf really appears, it can devour the sheep undisturbed. A similar result was the consequence of the international attitude to the settlements that Israeli governments created in the so-called "West Bank" after the Six Day War of 1967. Foreign ministries around the world would always brand any Israeli plan to add a few more houses to some settlement "a violation of international law," but Israel quietly ignored such statements and their authors did nothing more about them. Reporting on such cases, the BBC routinely remarked that "settlements are illegal under international law although Israel disputes this." This kowtow to the principle of accuracy in reporting is indeed officially prescribed among the BBC's "Key Terms" for reporting on "Israel and the Palestinians." Wikipedia, too, uses a similar formula in its articles on settlements. Other media either followed the BBC's example or simply omitted the "although." In fact, as an earlier article explained, almost all of Israel's settlement activity has not been illegal. Israel's Supreme Court has been vigilant in forbidding any violations. Decades ago, Menachem Begin made it his policy to fulfil the decisions of the Supreme Court to the letter. Subsequent Israeli governments have done the same, although sometimes more grudgingly than he ever countenanced. It is only in the last few weeks that real reason arose for crying wolf, also on Israel's own behalf, but the cry was disregarded as usual. Now the wolf has arrived. The argument of the earlier article can be briefly summarized. Critics of Israel's settlement policy base themselves on Article 49 of the Fourth Geneva Convention of 1949: "The Occupying Power shall not deport or transfer parts of its own civilian population into the territory it occupies." One should not, however, start reading the Convention at Article 49 but from the beginning. Then one quickly arrives at Article 3, whose gist is to make a basic distinction between civil wars and wars between states, whereby the rest of the Convention applies unconditionally only in the second case. As for civil wars, Article 3 basically lays down requirements of two kinds. One is a set of basic requirements for the handling of prisoners, medical treatment of the wounded and the like. That is, requirements that were grossly violated, with impunity, by the Syrian regime and its allies in its destruction of Eastern Aleppo. The other requirement is expressed in a single sentence: "The Parties to the conflict should further endeavour to bring into force, by means of special agreements, all or part of the other provisions of the present Convention." Now, the conflict between Israelis and Palestinians began as a civil war under the British Mandate for Palestine and has continued as such up to the present day (see the earlier article for the detailed history). It is a conflict between two Parties each of which sees itself as possessing a right to the whole of the former territory of the British Mandate. For decades, moreover, the Arab side expressly rejected the possibility of "special agreements," or indeed any agreements, with Israel beyond the ceasefire agreements of 1949. The position of the Arab states, together with the Palestine Liberation Organization (PLO), was reiterated in their notorious Khartoum Resolution of September 1, 1967: "no peace with Israel, no recognition of Israel, no negotiations with it." That stance prohibited the applicability of Article 49 of the Fourth Geneva Convention and indeed of any article beyond Article 3. The outcome, in short, is that "illegality in international law" applies neither to the Israeli settlements that existed prior to Oslo II nor to any continued subsequent Israeli building that was confined to the official boundaries of those settlements (including Jerusalem in its entirety) on the day when Oslo II was signed (September 28, 1995). In negotiations over the final status, on the other hand, the Palestinians are not excluded from demanding a total Israeli withdrawal to the ceasefire lines of 1949, but Israel is likewise not excluded from demanding the retention not merely of the settlements but also of any other part of the Mandatory Palestine of 1947. So much in principle. In practice, no final status can be achieved unless both Parties abandon their claims to the whole former territory of the British Mandate, accept each other's minimal existential needs, and acknowledge the long-established current realities. Such was the content of the well-known letter of President George W. Bush to Prime Minister Ariel Sharon (April 14, 2004). 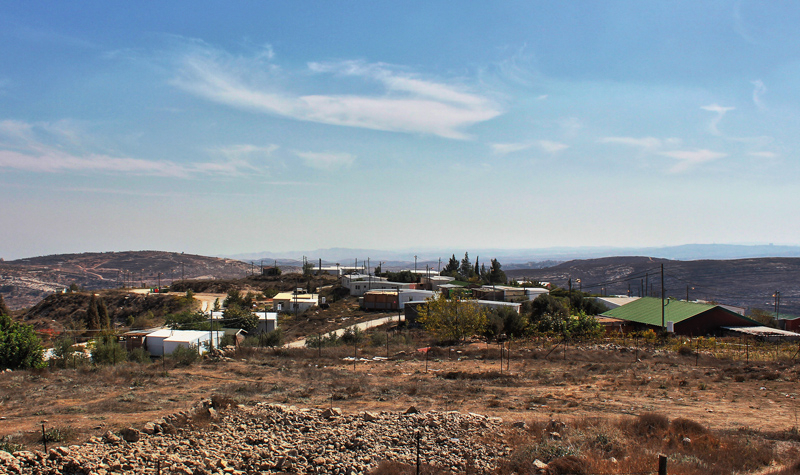 In 1995, some young residents from the legal settlement of Ofra decided to cross a valley and create upon the yonder hill an "outpost" that became known as "Amona." The outpost was doubly illegal: besides being located outside any legal settlement, it was built on land owned by residents of three nearby Palestinian villages, whereas Israel's Supreme Court already ruled in 1979 that Israeli settlements could be built in the West Bank only on "state land" (land without a private owner) or on land with an Israeli owner. The then government of Menachem Begin adopted a resolution to obey the ruling in all future settlement activity. Subsequent governments continued that policy. Because of sporadic attempts by settlers to create illegal settlement outposts, the government of Ariel Sharon in 2005 commissioned a Summary of Opinion on such attempts and on the efforts of the various governments to demolish such buildings. Already by 1997, the Israeli government acknowledged the illegality of Amona and made its first attempt to demolish the outpost. The Supreme Court demanded its demolition several times in successive years and Israeli governments agreed, only pleading for more time. Proceedings were delayed also by a claim by the settlers that they had purchased some of the land, but in 2014 the purchase documents were found to be forged, whereupon the Supreme Court decreed a final date for the evacuation and demolition of Amona (December 25, 2016). After so many legal investigations, moreover, it cannot seriously be doubted that the land belongs to Palestinian individuals. The Israeli government, this time, has not merely agreed to evacuate Amona but has ordered the necessary preparations by the police, the border guards and the army. But it is now confronted by the broader issue: there are numerous other outposts that fall into the same or a similar category, for which the evacuation of Amona creates a legal precedent. The reactions of those in power to this issue have been grossly contradictory. On the one hand, the government has acquiesced in supporting an originally private bill in the Knesset to legalize all the other cases in which Israeli settlers have illegally built houses on land owned by Palestinian individuals. The mechanism of this so-called "Regulation Law" is that the State of Israel will pay compensation to the owners from the state's coffers for compulsory purchase of the land, enabling the settlers to go on living where they are. On the other hand, Mayor Nir Barkat of Jerusalem has declared that he will now implement the demolition of hundreds of dwellings that Palestinians have built illegally in Jerusalem on land owned by Israelis. Likewise, Prime Minister Netanyahu has stated, in a message to the residents of Amona, that he now plans to demolish more vigorously all illegal structures in the Israeli Arab sector. What neither Barkat nor Netanyahu took notice of is that the "Regulation Law" will precisely impede the demolitions that they have committed themselves to. The Supreme Court cannot interpret the law as applying merely to cases in which Jews have illegally built on land owned by Arabs, but only as applying irrespective of the ethnicity of the two parties. The Regulation Law is likely, in any case, to be struck down in its entirety by the Supreme Court. Both the government's legal advisor and the Knesset's legal advisor have warned that the bill is manifestly unconstitutional, while the former has added that he will be unable to defend it before the Supreme Court. For maybe the first time, foreign governments began to cry "wolf" justifiably. But they did so ineffectually because of their endless previous false calls and because of their own incomprehension, for the most part, that this case differs fundamentally from all preceding cases. The bill provides for generous compensation to the landowners. But this is irrelevant in the Palestinian context because landowners who accept compensation will face all the sanctions that Palestinians apply to alleged collaborators: dismissal from jobs, houses burned down, assassinations, stigmatization of their children in education and throughout Palestinian society, etc. The bill also imposes formal limits on eligibility: that the settlers should have acted in good faith and that the government should have given tacit approval to their occupation of private land. In the case of Amona, however, "good faith" consisted of acquiring forged documents and "tacit approval," as the bill specifies, was the provision of electricity or water from public utilities. In practice, therefore, lawyers will be able to claim that the requirements of the bill are satisfied in most or all imaginable cases. For instance, Mayor Barkat's municipal water company is supplying water not just to the alleged hundreds of Palestinian dwellings on Jewish-owned land but also to the many more cases where Palestinians have built illegally on land owned by other Palestinians. All such cases will satisfy the requirement of "tacit approval." Originally, the bill included a clause applying it retrospectively to Amona, but this was withdrawn at the demand of the party headed by Finance Minister Moshe Kahlon. Yet all the requirements of the law remain tailored precisely to the case of Amona. Since, as just noted, the conditions were so easily satisfied by Amona, Kahlon should be even more worried that, for the sake of some forty families in the West Bank, his ministry will be liable to pay compensation for hundreds or thousands of cases in Jerusalem and throughout Israel. In the worst case for Finance Minister Kahlon, the Supreme Court will strike down the application of the "Regulation Law" in the West Bank, on the grounds that the Israeli Knesset does not have the right to legislate there, but permit its application in Israel, including Jerusalem. Then the law would completely fail in its original intention, but nevertheless land Kahlon's ministry with immense bills to pay in compensation. A word of explanation: the Supreme Court does allow the application of Israeli law to Jerusalem and the Golan Heights, but because the Knesset passed laws specifically extending Israeli law, in its entirety, to those territories. That is, the only proper procedure is for the Knesset first to decree the extension of Israeli law to Area C of the West Bank and only then to pass specific legislation, such as the "Regulation Law," that is meant to apply there. To go that far is barely thinkable even in the current Knesset, since the effective annexation of Area C would constitute a unilateral repudiation of the Oslo accords and very seriously invite foreign sanctions. A further anomaly is that the "Regulation Law" regularizes illegal building by individuals on land owned by another individual, but gives no protection to illegal building by individuals on land owned by themselves. That is, if individuals own a piece of land and build on their land without planning permission, they will continue to be liable to a prosecution that demands that they demolish the building at their own expense while losing all the money that they invested in the building project. But if they leave their own land unbuilt and build on somebody else's land instead, the State of Israel will pay compensation to the owner in order to let them continue to live there. According to reports, neither Prime Minister Netanyahu nor Defence Minister Lieberman (in his capacity administrator of Area C) liked the "Regulation Law" from the beginning; Netanyahu even tried to defer its consideration repeatedly. So why did these leaders of two parties in the government coalition ultimately acquiesce? The answer is that Naftali Bennett, the leader of a party that largely represents settlers, threatened not to support the state budget if the government failed to endorse the "Regulation Law." The Israeli budget law states that if the budget for the coming year is not passed by a set date, the Knesset has to be dissolved and new elections held. Given that the government has the support of only 67 out of 120 members in the Knesset, Bennett's Jewish Home party, with eight members, had the power to provoke that scenario. With the budget passed – barely in time – on December 21, attention turned to fresh attempts to delay the passage of the "Regulation Law" through the Knesset at least until Donald Trump would enter into the US Presidency on January 20. Or maybe forever, as Netanyahu may have wanted all along. This was the point at which Israel was ambushed at the United Nations Security Council. The ambush came in the form of a proposed resolution by Egypt (a current member of the Security Council) that would call for a total cessation of building in the settlements. Egypt quickly asked for the proposal to be held back, but four other members then adopted it: Malaysia, New Zealand, Senegal and Venezuela (of which only Senegal would still be a member in 2017). The Obama administration was then faced with a choice that it might have preferred to avoid in its last days: whether to veto the proposal. The choice was made more difficult because the full text of the resolution contains reasonable language on other aspects of the conflict, such as calling upon the Palestinian police to prevent acts of terrorism and denouncing incitement to violence. In the end, the United States decided to abstain and all fourteen other members voted in favour of UNSC Resolution 2334. Furious reactions in Israel have been directed mainly against the Obama administration, as if the responsibility of the other fourteen UNSC members were not greater. The fourteen, however, have not been forgotten. Israel has cancelled the upcoming visit of the Prime Minister of the Ukraine, the first Jew to hold the post. (The Ukrainians had their own interest in the resolution as a means of deterring or even reversing seizures of their territory by Russia.) It has also cancelled all aid programs to Senegal, to which the President of Senegal responded that his country had always made it clear that its decision to cultivate good relations with Israel was made despite its support for the claim of the Palestinians to the West Bank. Since Resolution 2334 accurately reflects the opinion of practically all world leaders, including outstanding friends of Israel, the illogic of such reactions is that all visits to and from foreign countries should now cease and that Israel should thus deliberately isolate itself from the whole world. Consider just the case of the UK and France, two permanent members of the UN Security Council. Netanyahu's office has already had to deny that a meeting with UK Prime Minister Theresa May at the World Economic Forum in Davos had been cancelled: "No meeting with the UK prime minister had been set, therefore no meeting was canceled." The British Embassy quickly responded that that the denial was misleading: there had been plans for a meeting, although not finalized: "This is a disappointment that the Government of Israel has announced that Prime Minister Netanyahu does not want to have a conversation with Prime Minister May." Let it be recalled that Theresa May is an outspoken admirer of Israel who recently hailed the Balfour Declaration as "one of the most important letters in history." Her government has also stopped local authorities in the UK from imposing boycotts of Israel and adopted a reinforced definition of antisemitism that includes targeting Israel among its criteria. May's spokesman went as far as to criticize severely the swan song speech of Secretary of State Kerry on the conflict: "We do not believe that the way to negotiate peace is by focusing on only one issue, in this cases the construction of settlements, when clearly the conflict between the Israelis and Palestinians is so deeply complex. And we do not believe that it is appropriate to attack the composition of the democratically elected government of an ally." As for France, its current prime minister is also an admirer of Israel and it was France in 2003 that started the trend of making boycotts of Israel illegal. It is instructive to read the full speech delivered by Samantha Powers on behalf of the US delegation in justification of the abstention. She began by excoriating the United Nations, in its various forums, for its obsessive pursuit of Israel, then listed the many attempts of the US "to fight for Israel's right simply to be treated just like any other country." This was sufficient reason, she said, not to vote for Resolution 2334 and was why the US had vetoed such resolutions in the past. On the other hand, she cited recent three developments in Israel that had deterred the US from voting against on this occasion. First and foremost was the "Regulation Law." In her words: "Yet rather than dismantling these and other settler outposts, which are illegal even under Israeli law, now there is new legislation advancing in the Israeli Knesset that would legalize most of the outposts – a factor that propelled the decision by this resolution's sponsors to bring it before the Council." These developments, said Powers, had persuaded the Obama administration that it could not vote against Resolution 2334, unlike its vote against a previous such resolution in 2011. A similar statement was made by Obama's advisor Ben Rhodes, who emphasized: "Netanyahu had the opportunity to pursue policies that would have led to a different outcome today." Thus the three factors named by Powers were serious misjudgements made in Israel. The first and third were egregious: How could anyone gloat over the end of the Obama administration and brazenly abandon legal guidelines existing since 1979 and 1995, guidelines that also constituted Israeli commitments to successive US administrations, yet expect Obama to do Israel yet another great favour at the Security Council in the face of collective world opinion? The second factor, the one ascribed to Netanyahu, needs to be discussed in a separate section (see below), since it exemplifies a weakness of all Israeli governments since 1985. The consequences of Resolution 2334 are unpredictable at this stage, except that it may – to Israel's great detriment – now replace Resolution 242 of 1967 as the definitive expression of world opinion on the conflict with the Palestinians. Two features of the new resolution are particularly disturbing. One is that the new resolution requires the UN Secretary General to report every three months to the Security Council on the implementation of the resolution. This prevision may turn the Security Council into yet another UN circus in which the pillorying of Israel is a permanent item on the agenda, like the UN Human Rights Council. The other feature is that the new resolution makes much more specific demands upon the State of Israel in the name of promoting peace. With deliberate vagueness on the part of its then sponsor, the UK, Resolution 242 spoke merely about "Withdrawal of Israeli armed forces from areas occupied in the recent conflict" while recognizing the need for "secure and recognized boundaries free from threats or acts of force." It referred merely to "States in the area" while neither mentioning the Palestinians by name nor ascribing any rights to the Palestinians as a people, but merely requiring "a just settlement of the refugee problem." The so-called "inadmissibility of the acquisition of territory by war" was mentioned only in the non-binding preamble. Resolution 2334 is far more specific in all those regards and others. Its preamble condemns "all measures aimed at altering the demographic composition, character and status of the Palestinian Territory occupied since 1967, including East Jerusalem, including, inter alia, the construction and expansion of settlements, transfer of Israeli settlers, confiscation of land, demolition of homes and displacement of Palestinian civilians, in violation of international humanitarian law and relevant resolutions." The main text likewise "Reaffirms that the establishment by Israel of settlements in the Palestinian territory occupied since 1967, including East Jerusalem, has no legal validity and constitutes a flagrant violation under international law and a major obstacle to the achievement of the two-State solution and a just, lasting and comprehensive peace" That includes even Israel's repopulation of the Jewish Quarter of the Old City of Jerusalem and its possession of the Western Wall of the Temple Mount. The text then "Reiterates its demand that Israel immediately and completely cease all settlement activities in the occupied Palestinian territory, including East Jerusalem, and that it fully respect all of its legal obligations in this regard." And so on and so on. Above all, unlike Resolution 242, the West Bank is repeatedly designated as "Palestinian territory," although the Palestinians have never ruled in either Area C or so-called "East Jerusalem." In short, the Israeli settler movement has overreached itself – to the point of imperilling itself – with its open derision of the Obama administration and its insistence upon its maximal demands in the "Regulation Law." What is to be done? Currently, the only remedy discussed is to hang on until Donald Trump assumes office as President of the United States, when supposedly everything will change. This is to replace Israel's over-dependence upon one foreign state with a total dependence upon one man, who may be in office for four or eight years, but not for ever, and whose own decision making is notoriously improvised and unpredictable. Meanwhile, there is the rest of the world, including erstwhile good and helpful friends of Israel, who are shunned. The alternative is to cancel the "Regulation Law," reinstate Israel's own legal requirements for building within settlements, refrain from ostentatious settlement activity and reduce it to levels that do not unduly provoke friends in other countries. In short, to resume what was the policy of Israeli governments until mid-2016. 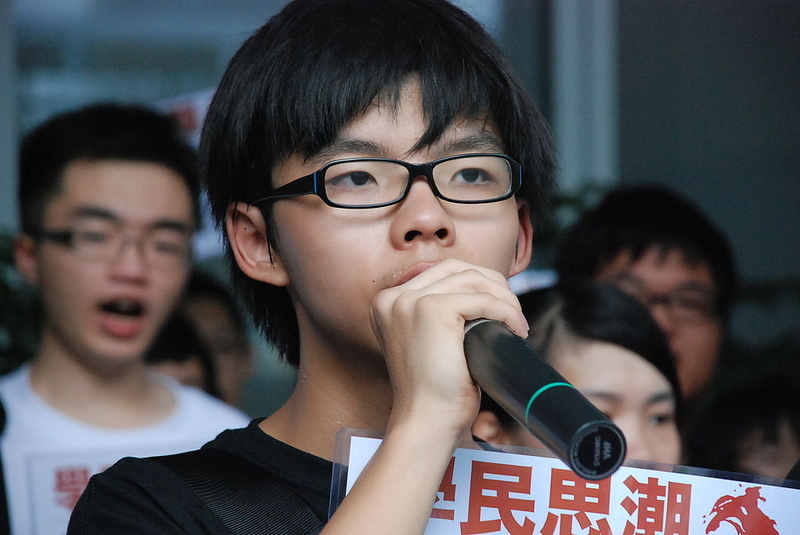 Whether the present government can return to that policy is uncertain. In any case, for the indefinite future, the levels would have to be lower than before the passage of Resolution 2334. The statement of Netanyahu quoted by Powers occurred in an address in which he was seeking to comfort the settlers of Amona and persuade them to leave the place without provoking the massive violent protests that accompanied previous evacuations of outposts. In this he succeeded – the settlers agreed to leave quietly – but at the subsequent international cost. This illustrates a systemic failure of successive Israeli governments: their agreement to endanger the strategic interests of the whole State of Israel on behalf of the wishes of some small group of individual citizens – or even just one. The beginning of this trend was the decision of the joint Labour-Likud government headed by Shimon Peres in 1985 to release 1150 convicted Palestinians in exchange for three Israeli prisoners held by the PFLP-GC of Ahmad Jibril. There had been previous disproportionate prisoner exchanges, but nothing comparable to this, which also set the pattern for subsequent exchanges. Moreover, whereas previously released Palestinians were obliged to go into exile, this time some 400 were allowed back to their homes. There, two years later, they formed the core of the First Palestinian Intifada (1987-1993), in which two hundred Israelis and over a thousand Palestinians died, besides another thousand Palestinians killed by other Palestinians. In 2000, Labour Prime Minister Ehud Barak suddenly evacuated all Israeli troops from South Lebanon. He had been under constant harassment by the Four Mothers movement, these being four mothers of conscripts serving in Lebanon. This perceived Israeli cowardice was a factor in Arafat's decision to launch the Second Palestinian Intifada (2000-2005), in which 1100 Israelis died. It also enabled Hizbullah to establish its rule in South Lebanon, provoke the Second Lebanon War (in 2006: 164 dead Israelis), and amass currently up to 100,000 rockets that threaten much of Israel with damage far greater than the not insignificant damage inflicted in that war. Even more disproportionate, a campaign led by the father of a single Israeli soldier captured by Hamas led Netanyahu's government of 2011 to purchase the soldier's release in exchange for 1027 convicted Palestinians, almost all of whom returned home. Emboldened by its success, Hamas provoked new conflicts with Israel in 2012 and 2014 (respectively 6 and 73 dead Israelis). Some of the Palestinians released to the West Bank participated in the most recent wave of terror, starting on September 13, 2015, which has already cost over 40 Israeli lives. For three decades, therefore, Israeli governments of every flavour have engaged in this kind of reckless behaviour. Much of it could easily be prevented. For instance, the Knesset could pass a law limiting prisoner exchanges to a maximum of five live non-Israelis per live Israeli and five non-Israeli bodies per dead Israeli. There is also a problem to which nobody concerned with the illegal outposts has paid attention, be it the settlers or the Israeli government or involved NGOs or foreign governments or the various United Nations observers that prowl around in the area. It is that Oslo II apparently prescribes that the residents of Amona should have been paying income tax to the Palestinian Authority (PA). The earlier article recalled that Oslo II (Article 8 of Annex III) contains the following provision: "The powers and responsibilities of the Israeli side for levying and collection of income tax and deduction at source, with regard to Israelis (including corporations in which the majority of shares which grant rights to distribution of profits are held by Israelis) in respect of income accrued or derived in Area C outside the Settlements and military locations, will be exercised according to the Palestinian tax code and the tax collected will be remitted to the Palestinian side." Note that the settlers are not requested to pay their taxes directly to the PA. The mechanism is that Israel collects the tax revenues due and passes them on. Moreover, PA tax rates are lower than Israeli tax rates, so Israel has already collected enough money from the settlers for nearly twenty years. It is therefore the duty of Kahlon's Finance Ministry to pay all that accumulated debt to the PA and to refund to the settlers the differences between the tax rates. The same applies to all other settler outposts outside the boundaries of those legal settlements which existed when Oslo II was signed. Both the PA and the settlers themselves have an unexpected windfall to look forward to. Nor can any "Regulation Law" abolish the payments due. When individuals are found to owe back tax money to a government, there may be a statute of limitations cancelling any debt over (say) seven years old. But the present case is a debt owed by one government to another, to which no statute of limitations applies. Repudiation of the debt by Israel would also amount to the unilateral repudiation of Oslo II. Given all the above, the "Regulation Law" belongs to the most ill-conceived initiatives dreamt up by Knesset members. As already noted, neither the Prime Minister nor the Defence Minister liked that legislative proposal, but neither possesses the unlimited authority that Begin could exercise over the members of and voters for his party. Perhaps the problems mentioned, carefully explained to their own Knesset members, could help cajole the bolted sheep back into the fold. For Kahlon it should be easier, since he is faced with paying all the bills. Even if the "Regulation Law" is wisely abandoned, there remains a problem that can and should be dealt with. Apparently, existing Israeli law contains no specific provisions for the case of illegal building by one individual on land owned by another individual. A better legislative approach to this problem could include the following suggestions. First of all, the owner of the land should be recognized as the owner of anything built upon it by whomever. Second, the landowner – and nobody else – should be entitled to apply for a retrospective grant of planning permission. While the application proceeds, the illegal residents should pay the owner the market rate of rent for such buildings (maybe plus 50%). If the application succeeds, the owner should be able to apply for the eviction of the illegal occupants or, if they remain, the owner should continue to receive the rent. If the application fails, the cost of demolition and clearing the site should fall upon the illegal builder alone. While the Knesset can pass such legislation only for Israel, in Area C the Defence Minister probably has the discretion under existing law (Ottoman, British or Jordanian) to apply any needed similar provisions. For one thing, no change of ownership of land is envisaged. In regard of debts owed by Israeli citizens, the Knesset legislation could already apply, since a state does have the right to subject its citizens to legislation irrespective of whether those citizens dwell in the state itself. The provisions benefitting the landowners probably fall within the said discretion of the Defence Minister. In that way, illegal building would be discouraged, the owners of stolen land would gain redress, and Kahlon's Finance Ministry would not need to pay out a single shekel in compensation. It's obvious that most Palestinians cannot live anywhere near Jews without violence. The two state solution needs to be abandoned. Palestinians should have the choice of a generous relocation package to various countries or else they can pledge full allegiance to the Jewish state and renounce Islamic extremism. It is cheaper to bribe countries to take Palestinians and offer them incentives to relocate than it is to pay for the security measures needed to deal with hostile enemies in Israel's backyard. What I am saying is not politically correct, but it would allow Palestinians a better life and also demonstrate goodwill towards the Palestinians since Israel would be doing something to benefit them directly and give them a better life. We live in times when the most indigent, bedraggled person in the West at least has food, clothing and shelter. Not a recommended state of being but far from mass death caused by lack of life-sustaining necessities. The truth is that most people in the West are rich in material goods and not lacking in anything. So, bored and decadent, they fill in their spare time with finding "solutions" for others. Some problems do not have simple "solutions" and, in frustration with their own limited intelligence, understanding and power to "change," some people go looking for scapegoats. In the case of bored and decadent leftists, they have adopted the Islamists as their pet project. Without understanding or having analyzed the political-religious underpinnings and consequences, the left have come up with simple-minded solutions which involve pleasing and appeasing the Islamists. What could be more pleasing to an Islamist (who has antisemitism, anti-Christianism and anti-infidelism in their texts) than getting a gift of the State of Israel, a Jewish State to boot, from their leftist do-good supporters. The mostly Christian do-gooders giving Israel away on behalf of Islam are too silly and uninformed to realize that they are themselves targets and co-victims along with Jews. It is unacceptable to call Jewish construction "illegal", and "settlements", while Arabs rampantly build illegally (with help of EU) everywhere, in area C too. How that Arab villages within "green lines" are not considered "settlements"? Jews should be free to live near heritage sites, worship at Patriarch Cave in Hebron, come safely to prey to Joseph Tomb. Amona is not "illegal", it was on empty public lands, no Arab provided real title to deed to claim as "private", those registered by Jordanian King during illegal occupation are not really "legal deed titles". Israel is legal successor of British Mandate, legally won ancestral territory during defensive wars. Just because being nice ( not booting away as Arabs did to Jews), and just because of "being nice" granting some rights with Oslo accords ( which Arabs broke lots of times with waging guerrilla war by suicide bombings, stabbings, shootings, stone throwing etc) does not give really Arabs any "titles". They got 78% of "Palestine" as Jordan, so talk about dividing Jordan and relocating remaining Arabs east of Jordan river. So glad someone finally had the courage and knowledge of history to mention the Mandate as part of the conversation on so called settlements.